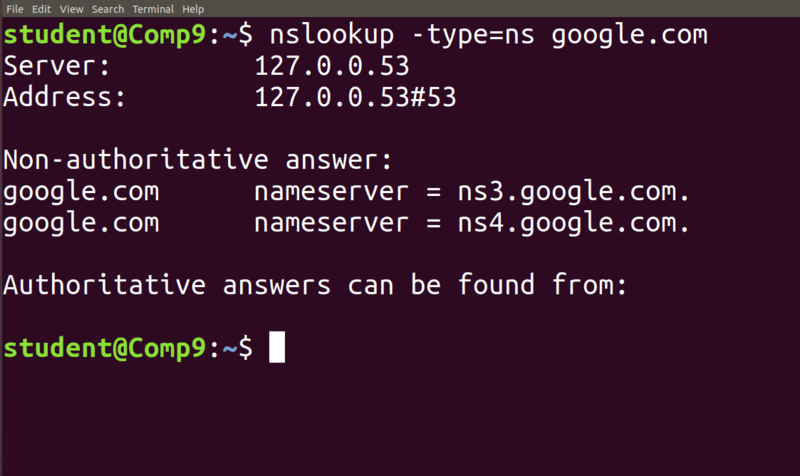 Nslookup (stands for “Name Server Lookup”) is a useful command for getting information from DNS server. It is a network administration tool for querying the Domain Name System (DNS) to obtain domain name or IP address mapping or any other specific DNS record. It is also used to troubleshoot DNS related problems. 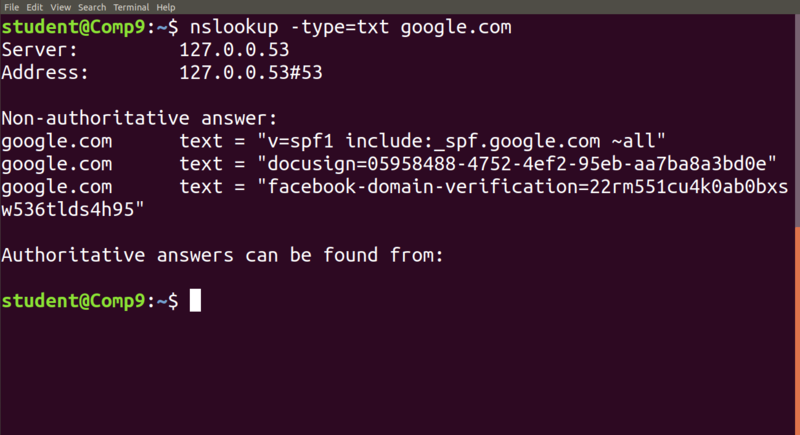 nslookup followed by the domain name will display the “A Record” (IP Address) of the domain. 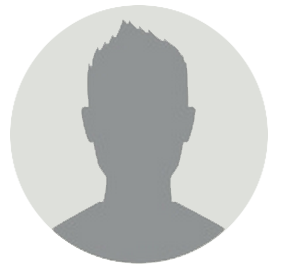 Use this command to find the address record for a domain. It queries to domain name servers and get the details. 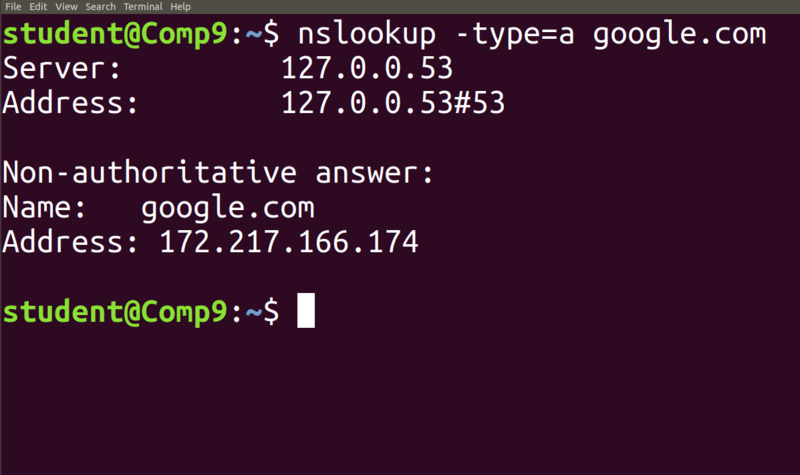 You can also do the reverse DNS look-up by providing the IP Address as argument to nslookup. We can also view all the available DNS records using -type=any option. 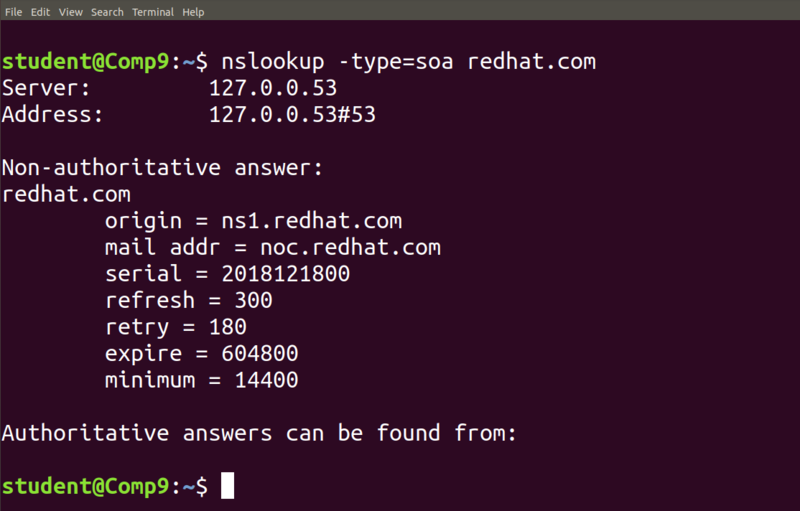 NS (Name Server) record maps a domain name to a list of DNS servers authoritative for that domain. It will output the name serves which are associated with the given domain. We can also view all the available DNS records for a particular record using -type=a option. MX (Mail Exchange) record maps a domain name to a list of mail exchange servers for that domain. 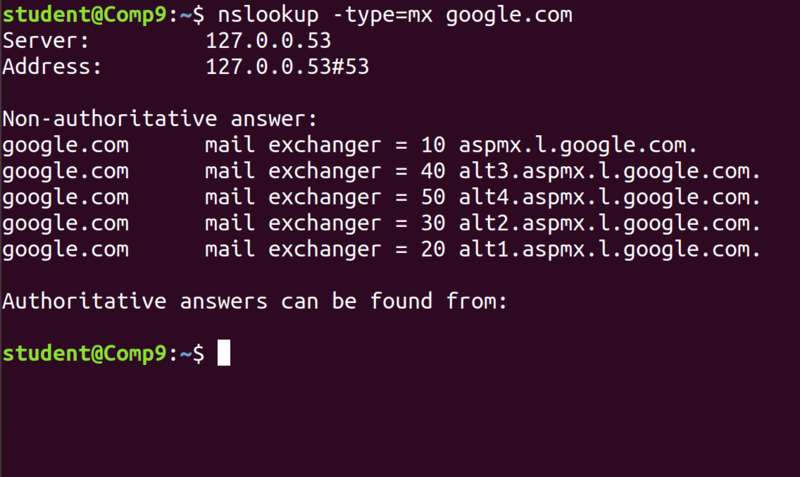 The MX record tells that all the mails sent to “google.com” should be routed to the Mail server in that domain.